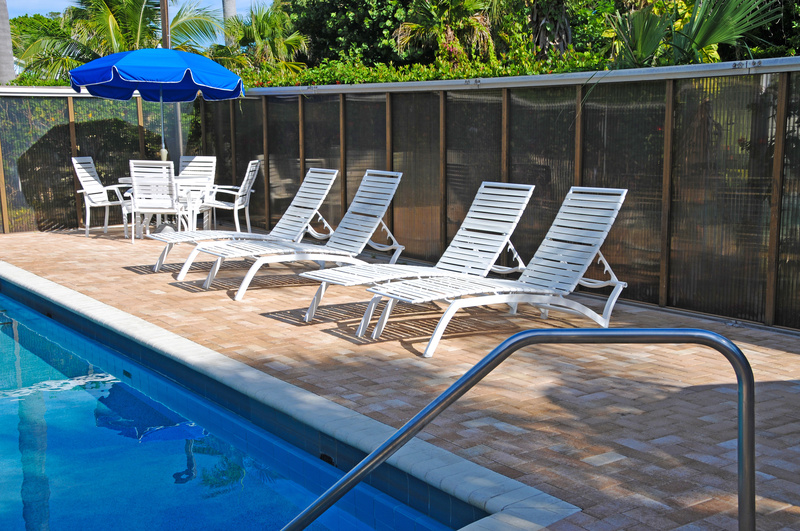 As one of South Florida’s most popular pool service providers, the pool techs at Eagle Pool Service see all kinds of backyard swimming pools. Some are impressive, while others could use a little updating. Improving and upgrading the look and feel of your backyard swimming pool is easy. And it doesn’t have to require a significant financial investment. In fact, some of the best looking pools we’ve seen feature affordable furniture and modest decorative elements put together by somebody who knows what they are doing. Anyone who has visited the pool supply store or the local home improvement store knows that you can spend a lot of money on your pool furniture if you want. But you don’t have to get a second mortgage in order to make your pool look great if you choose the right pool furniture. Look for pool furniture that complements your existing backyard pool design elements. Often, buying just one or two new pieces that perfectly match your existing pool furniture is enough to bring your backyard pool to life. Adding a touch of color is another way to make your backyard pool area more dynamic. Again, it’s better to go small than go big with color additions. A single piece of furniture, a decorative element, or even just a new table umbrella that matches or complements your existing color scheme is all that is often needed. Another quick way to make your backyard pool look more impressive is to have your wooden deck or cement surface power washed by a professional. Power washing can remove years of stains, grime, and other unsightly additions to your pool deck, leaving it looking practically brand new in just a few hours. Improving the look of your backyard pool is simple … as long as you know what to do!